KEENAN: Sam Jones As A Replacement For Scott Angelle On The Louisiana PSC? On Monday, it was officially announced that Scott Angelle had been named director of the Federal Bureau of Safety and Environmental Enforcement. The once interim-Lt Gov, who fell short of a congressional bid last fall, has served on the Public Service Commission since 2012. Angelle’s departure creates an open seat on the PSC, with an election likely to be called for October 14th. 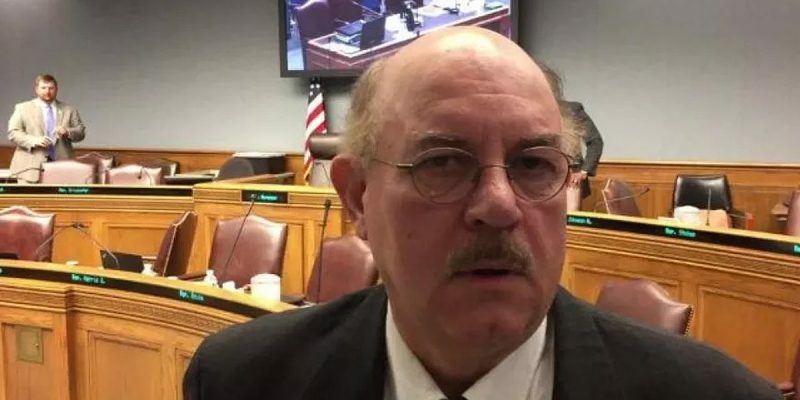 But rumors are swirling around the 4th floor that John Bel Edwards is considering appointing Rep. Sam Jones (D-Franklin), his floor leader and closest ally in the Louisiana House, as an interim Commissioner. Sam Jones serving on the PSC, even for just a few months, would swing the balance of the board from a Republican majority to a board with three Democrats and just two Republicans. This could cause a crisis for energy consumers in the Bayou State. For a number of years, green energy investors from California have been trying to take over the Louisiana Public Service Commission. In 2012, a green energy Democrat named Forest Wright ran against Scott Angelle in District 2. Wright lost handedly. The green energy cabal refined their strategy and switched Wright to a Republican for the 2014 election and came after Eric Skrmetta with a much more clever scheme. Forest Wright forced a tightly contested runoff, but in the end Eric Skrmetta prevailed. Scott Angelle’s sudden resignation offers an unbelievable opportunity for liberal democrats in Louisiana. Dressing up and pretending to be a faux-Republican was quite challenging. A simple appointment by Edwards would be much easier. Why would green energy investors all the way in California care about a majority on the Louisiana PSC? Well to understand that, one must fully understand how the Public Service Commission operates. The PSC grants permission for energy or utility companies to come into existence. In doing so, they must also guarantee them a profit. While this may seem bizarre to a modern citizen, one may realize the necessity of this guarantee in the 1920s, when running electricity in rural parts of Louisiana. The government wanted to make it a no-risk endeavor. If an energy or utility provider under-performs, then they are allowed to pass their losses onto other customers of other companies. So without realizing it, sometimes energy customers are paying a little extra on their bill to make sure another company, they don’t actually use, is profitable. The Public Service Commission must always approve the rates, making them a very powerful agency. With a Democrat majority on the PSC, wind farmers or solar energy plants could set up shop in Louisiana. They could get the green light from their newfound friends on the Commission and when their product flops (like it definitely would) it does not matter to them. Entergy or DEMCO customers in Louisiana would be forced to pick up the tab, guaranteeing profits for these California scoundrels. We can’t say for sure that would be Sam Jones’ agenda, but we already know the track record of Democrats on the PSC and we know Jones’ track record as a fairly reliable vote for bad Democrat ideas in the Louisiana House of Representatives. John Bel Edwards would do well to leave the seats of the Public Service Commission up to the will of the voters of Louisiana and to not engage in green energy games in a state that truly doesn’t want it.